We used a computer model to help predict how changing sea levels around Australia will affect the ebb and flow of the tide. We found that sea-level rise and coastal flooding affect where energy from the tide is dissipated and how the tide flows around the coastline. We found that we must consider how sea-level rise will affect tides across the rest of the world, as that will have an impact on Australia too. 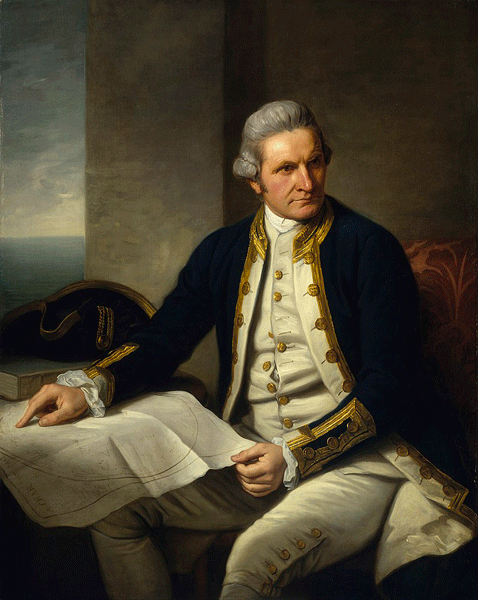 This sort of investigation can help direct coastal management and protection efforts. 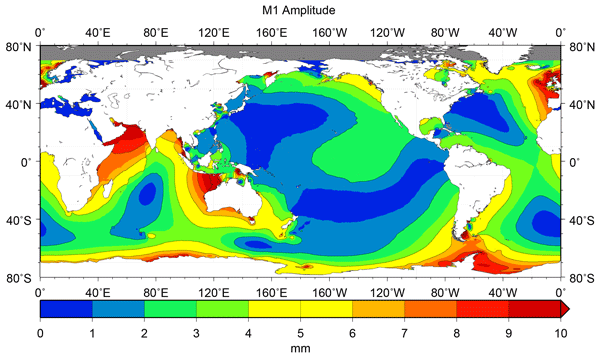 Tide predictions based on tide-gauge observations are not just astronomical tides; they also contain periodic sea level changes due to the weather. Forecasts of total water level during storm surges add the immediate effects of the weather to the astronomical tide prediction and thus risk double-counting these effects. We use a global model to see how much double-counting may affect these forecasts and also how much of the Highest Astronomical Tide may be due to recurrent weather patterns. 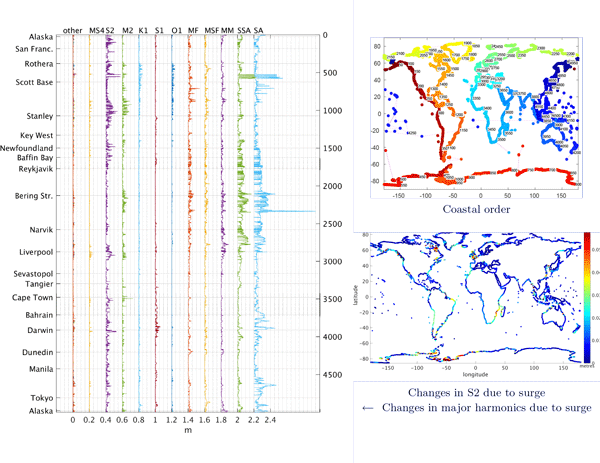 30 years of BPR data at Drake Passage are used to investigate the Mf, Mm and Mt long-period tides. Amplitudes of Mf and Mt, and all phase lags, vary over the nodal cycle as in the equilibrium tide. 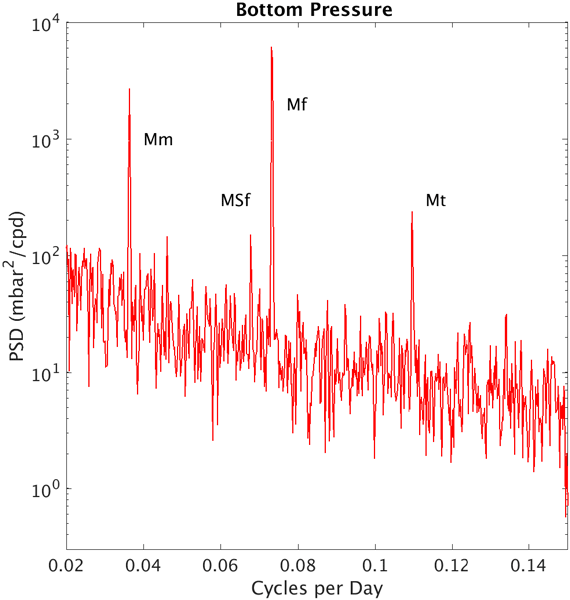 Mm amplitude is almost constant, and so inconsistent at 3σ from anticipation due to energetic non-tidal variability. Most findings agree with a modern ocean tide model. 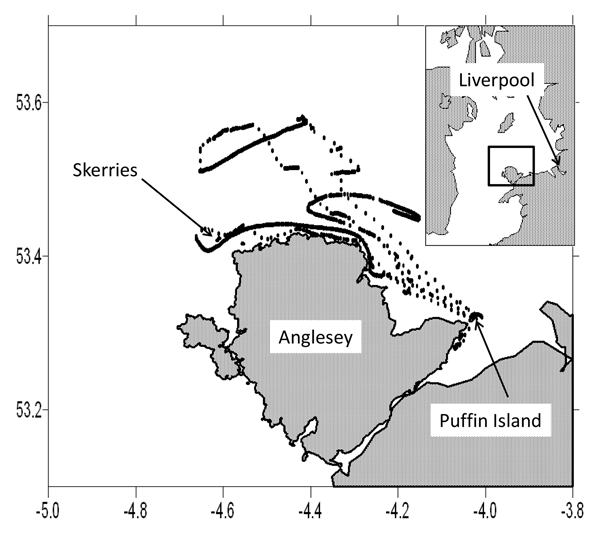 BPR records are superior to conventional tide gauge data in this work due to lower proportion of non-tidal variability.